This week marks the conclusion of the TING Open Season 2. This event has been building towards a climactic finale over the last two months, and now the end is in sight! 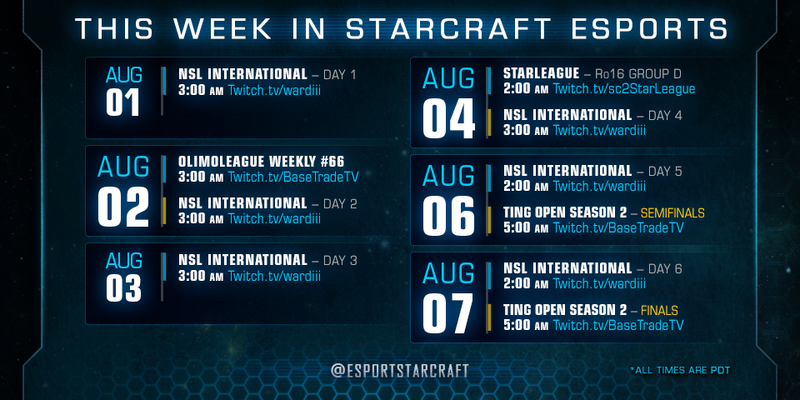 Check out the semi-finals and finals on Saturday and Sunday morning to catch ByuN, Bly, Patience, and Solar battle for top honors. 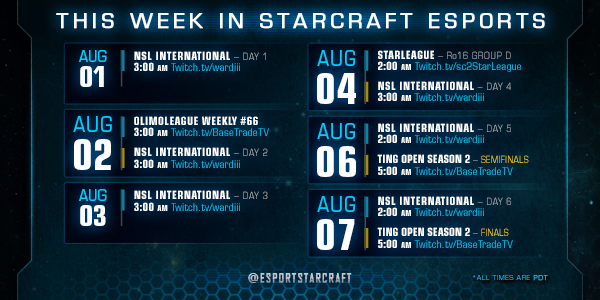 Separately, this week the Neo Starleague International will broadcast matches nearly every day! The Neo Starleague International is an event being held in Shanghai that features a hefty prize pool of approximately $60,000 and features a mix of great Chinese talent as well as foreign and Korean players including Scarlett, MarineLorD, and PartinG.